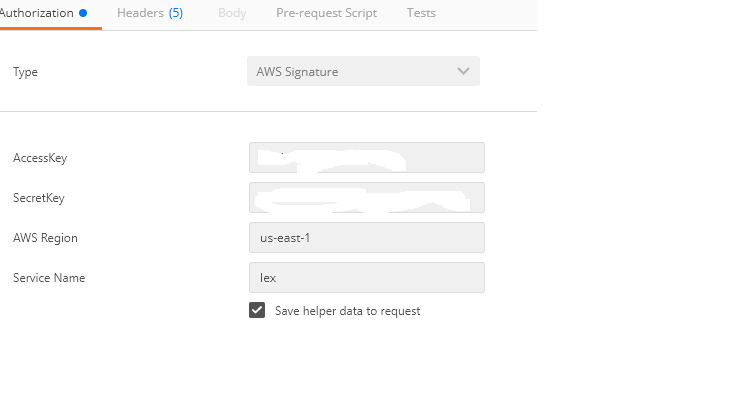 I have requirement to get AWS Lex bot intent information and update it via REST API call. I tested using postman and get the below error. I Gave full access fo Amazon Lex in IAM for the user. Still I am getting this error. Can anyone help me where i made mistake?